Track equipment usage, maintenance schedules and repair history. Smart businesses understand that controlling the schedules and costs associated with equipment maintenance is essential for success. Companies are constantly striving to improve their warehouse operations by increasing agility, visibility and labor efficiency. This requires use of best practices combined with a sophisticated equipment maintenance that optimally manages all resources within the rental operations while minimizing the total cost of operation or ownership. 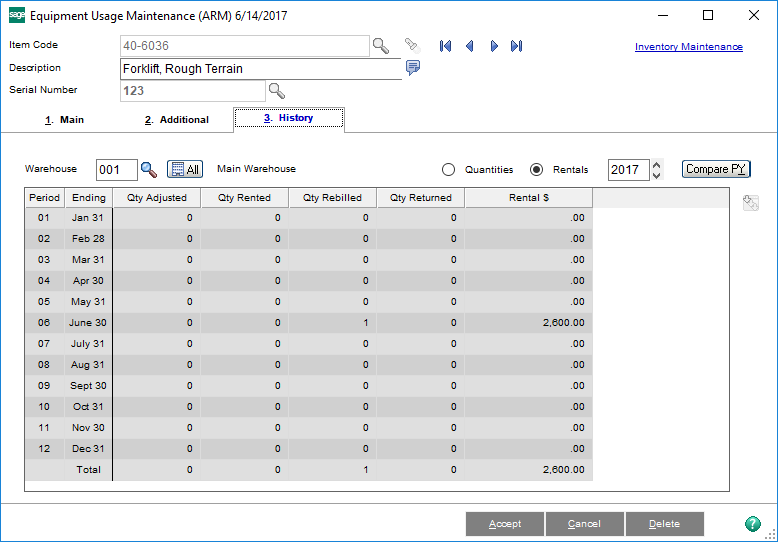 Automated Rental Management software enabled organizations to optimally manage their equipment maintenance and service schedule without eating your bottom line. ARM Equipment Maintenance gives you the ability to move items on or off repair status to allow for cleaning, repairs or any other service that might be done before the inventory can be placed out on a new contract. ARM is also intelligent enough to proactively warn you before equipment is no longer profitable or is costs more to maintain than it generates in revenue by tracking the maintenance history of each item in your inventory. Drill-down to see underlying details from financial statements and related equipment including revenues generated and expenses. Track vital details about each serialized and non-serialized piece of equipment your company owns. View detailed revenue, equipment value, and cumulative expenses included acquisition, parts and labor to maintain it. View a complete history of your equipment, including utilization and current “on-off” usage status. Inquire about contracts directly from the usage status screen to view open contracts or invoices referencing an item.